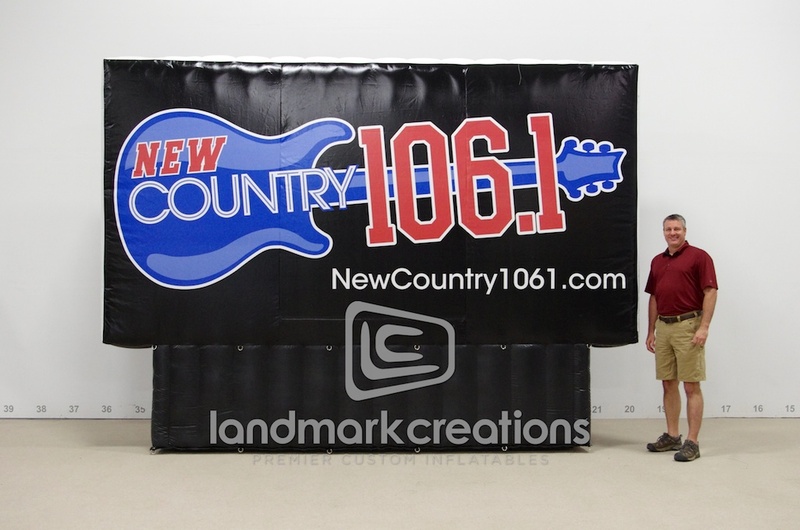 This giant inflatable display rocks at concerts and mobile marketing tours to promote radio station, New Country 106.1 FM. 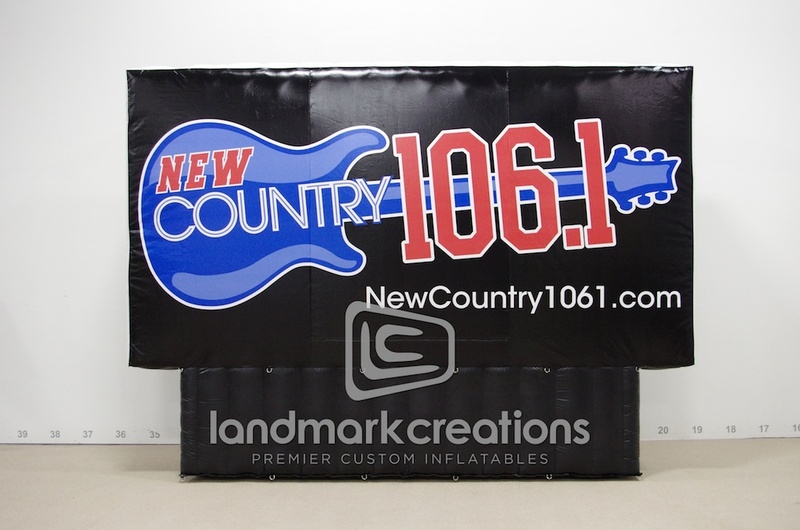 The custom inflatable billboard is a unique way to advertise and draw attention. 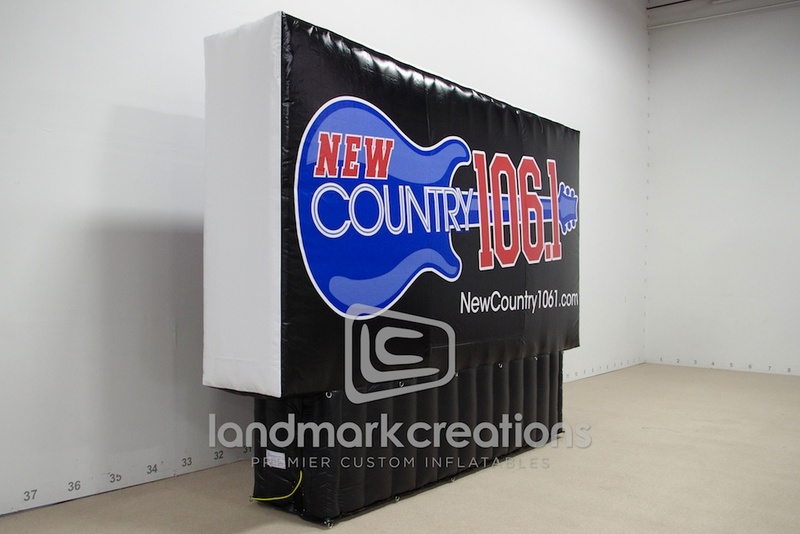 Pack DIMs: 21" 21" x 21"